Wordpress.com Review - Pricing, Ratings & Expert Opinion! You are here: Home / Reviews & Comparisons / WordPress Review – The Best Choice for Building Websites! WordPress is the most popular content management system out there. More than 15 million sites use WordPress. Most statistics put their share of the CMS market somewhere between 50-60 percent. This is well beyond their closest competitors, Drupal and Joomla. Is it the right one for your site, though? After all, there are other options out there. Building a site is a significant investment of time, so you want to make certain that you're going with the right platform from the get-go. 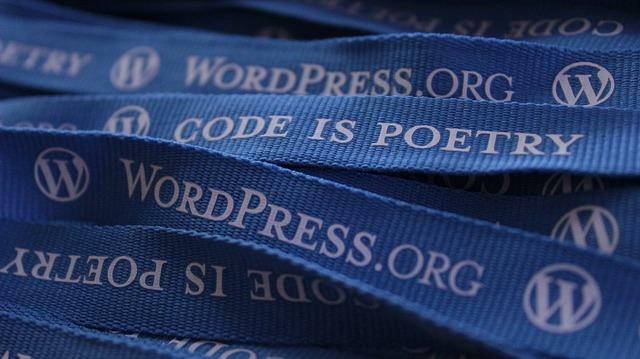 Today, we're going to do a review of WordPress and cover some of its pertinent features. Please note that we're talking specifically about doing a self-hosted site with WordPress.org. No WordPress blog reviews this time, but maybe later. With any luck, you'll be able to draw a conclusion on whether or not it will work best for what you have in mind. First things first. WordPress is as popular as it is for a reason. The ease of use, themes, and plentiful add-ons go a long way. That's likely why our WordPress website reviews rank it so highly. For beginners especially, this is the CMS to use. I give it a 4.5/5, easily. WordPress has four major positives and a whole bunch of ancillary benefits that justify its top spot. There are some drawbacks, but as I mentioned, if you're a beginner, this is going to be the platform for you. This is probably the most important factor. When it comes to setting up a site, you'll find no option easier than WordPress. You don't need to know HTML; you don't need to know PHP. Just templates and drag-n-drop friendliness abound. There's a brief learning curve, and then you're on to creating your site. That's a quick process, by the way. Using WordPress templates is no great investment of time. Even integrating WordPress with your web host of choice is a breeze in most cases. WordPress Has Lots Of Theme Options. No matter the look you're going for you can find it with WordPress. There are quite literally thousands of themes from which to choose. The paid ones, obviously, are somewhat more advanced than the free options. They're all, however, clean and get the job done. Popular standard options like “Twenty Fourteen” and “Sydney” have hundreds of thousands of downloads. They are more than enough for most newbies starting a WordPress site. WordPress Has Great Plugins & Support. These essential WordPress plugins allow you to “expand functionality,” and you've got plenty of choices. There are a total of 47,629 themes, to be precise. If there's something extra you want your site to do, chances are you can get your site to do it with a plugin. On the featured page alone you've got options like Akismet. It can check your comments to identify which ones are spam. Then there's the ever popular Yoast SEO. It helps you optimize your content for that coveted boost in search engine rankings. WordPress Has A Great Community. With so many people using WordPress, all the tips and tricks are part of the collective knowledge base. The community is more than happy to share these secrets with newcomers, as a trip to the forum will testify. Whether you have questions about themes, plugins, or just general how-to stuff, they have you covered. There are also WordPress' official customer service channels. It's not difficult to find a solution to whatever problem you may encounter. Lack Of Control & Limited Flexibility. This is something that sticks out, and our WordPress review wouldn't be complete without addressing such a significant drawback. A site built with this simple CMS doesn't have the range of advanced customization abilities that a more complex CMS would. For someone not well versed in web building, that's fine. It constricts the number of ways in which you can mess up. For someone looking to do more with their site, however, it's not ideal. You might want to consider Joomla or Drupal for your CMS needs if that is the case. It's Easy To Create A Bad Site That Runs Slow. You have to select your plugins judiciously. If you go overboard with the add-ons, the result is a cumbersome site that offers a poor user experience. It's easy for someone to get overzealous and tank their site through ignorance, something that most WordPress reviews will highlight. All-in-all, WordPress is going to be a go-to platform if you're building your first site. Even those with some experience with web design might opt for WordPress just for simplicity. No matter which category you fall into, our WordPress review's opinion is that there's ample reason to give the platform a shot. It's pretty much free, after all. The only costs you'll eventually have to spring for are the domain and hosting, so try it out and see if it's the option you've been seeking.